Point of Sale Systems For Small Business: What Determines if a POS System is Good? 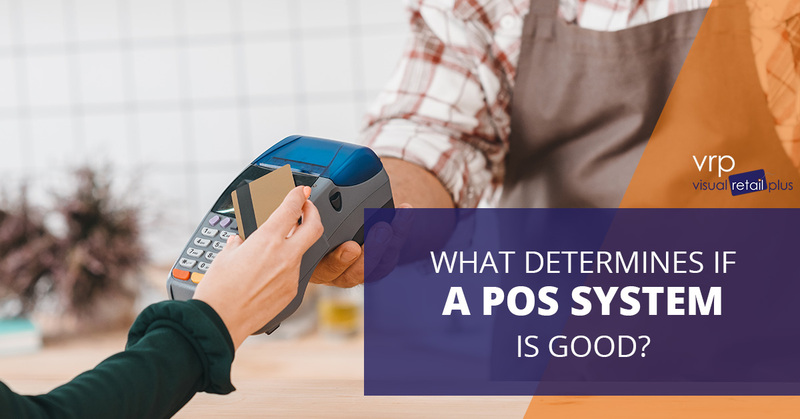 What Determines if a POS System is Good? Running a small business, especially in the retail world, is stressful. Not only is there cut throat competition that you have to deal with, but there are a lot of hours that you need to put into your business in order for it to be as successful as possible. From the quality of the products that you’re choosing to showcase to the technology that you have selected for your team, there are so many decisions that need to be made. The POS system that you choose to utilize in your small business is one of the many choices that we know you have on your shoulders. With as many options as you’ll find available, it can be difficult to know what exactly separates the good POS systems from the bad. After looking at all of them back to back, it can be a challenge to separate the benefits from the disadvantages of each system. For that reason, the team at Visual Retail Plus has compiled a list that will help you narrow down the features you need to be looking at. The list that we’ve compiled includes a selection of points, but they are the items that we feel every POS system ought to have. Unfortunately, they aren’t things that all systems prioritize. While you shuffle through the various benefits of the POS systems that you look at, make sure that you focus on the points that we’re about to mention below. Because without these points, your system isn’t going to be as efficient or effective as it could be. The time it takes to process a transaction is a huge part of what makes a POS system so great. From the moment that you begin the checkout process to the moment that your customer initiates a payment, the POS system should move effortlessly. Now, regardless of which POS system you choose, the first few times that you are working with the system you won’t be able to decipher whether or not the transaction time is on the faster or slower end. After spending time working with it and gaining your bearings, however, you’ll be able to see just how big of a difference this one factor makes. As a retail business owner, it’s important that you recognize that the transaction process should make up the smallest portion of time that your customers are spending in your store. Very few people have the patience for lines, especially when it comes to paying for a product. If the transaction time of your POS system takes too long, you can guarantee on a line building up thus resulting in frustrated customers. Finding a POS system for your small business will not only help keep the transaction time short, but it will help you move through the long lines and busy days with ease. Now, we just finished talking about time and how a learning curve can lead to the transaction process taking some time. The hope, however, is that the system that you choose will be easy enough for you to overcome a learning curve pretty quickly. In order for that to be the case for you and your staff, you need to be selecting a POS system that is easy to use. When you find a POS system that is user-friendly, it doesn’t take long to figure out all of the benefits to the system and how you can make the most of it in your store. Once you’ve had some time to play around with the features and how the system was designed, it should be relatively easy to get it set up to where you can use it for transactions and inventory of your store. The best way to truly find a POS system that is user-friendly is by seeing it at work. Not only does this give you some experience to the system that you will soon be using on a daily basis, but you can determine for yourself whether or not this software is something that will fit nicely into your routine. 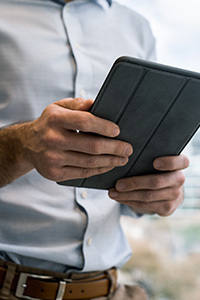 Looking for businesses that will provide you with a demo of the software and walk you through the features is one of the best things that you can do for your business — trust us! POS systems aren’t just meant for you to complete transactions within your business. Your POS system should also provide you with data that helps you manage and improve your business. In fact, this is one of the more beneficial features that your POS system should provide you with. From the daily sales to the products that are most popular, the information that you gather from your software will allow you to better your business. That being said, why wouldn’t you want to select a software that prioritizes the data aspect?As you browse through POS systems, make sure that you’re finding a system that provides you with accurate data that is easy to understand. This should be something that’s covered during any demo that you experience. 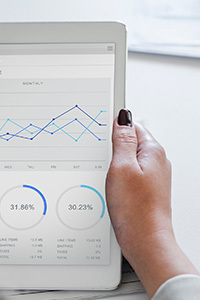 Aside from the data being timely and easy to understand, you want to ensure that your software allows you to access this information at any time and place. With how much technology has advanced over the years, it only makes sense that you turn to a software that provides you with the data that you need when you need it. Being a business owner on the go is the reality, and you it’s crucial that you have a software that makes doing so possible. Credit fraud is a huge fear of, really, anyone. It’s a terrifying thought to have your personal information stolen and used leisurely by someone else. The downside is that our entire world is primarily run by technology. That means that our transactions and all of the information associated with our method of payment is stored in the software or device with which we completed the transaction. As a store owner, it’s vital that you prioritize the security of your business and your customers. Finding a POS system that recognizes the importance of security is a good sign! When you browse through POS software options, make sure to look for systems that are PCI compliant. This ensures that the card reader that’s being used is encrypting all of the personal information when it takes a payment. More importantly, it’s good to understand all of the ways that payments have evolved over the years. Things like the virtual wallet are something that you will want to account for and have an understanding of how your POS accounts for them. Given that these forms of payment are still relatively new, ask questions about the safety features for both consumers and yourself. There’s no doubt about it, the one part of our society that is evolving quicker than the rest is our technology. Every day it seems as though there is something new that has been released. Your POS system is an investment in your business, especially since it should help bring the technology of your business up to speed. When you demo different POS systems, take a good look at the quality of technology that’s been used. You don’t want to bring a dated system to your place of business because it’s only going to slow you and your team down. As you participate in the demo or trial that the software company offers, get a good idea of how advanced this technology is and whether or not you have used system or software options that were more advanced. Like we said, you don’t want to add a dated software to your business. As the saying goes, one step forward, two steps back. All new software requires a little bit of getting used to, but there are certain things that leave you stumped. When you have a question about your new POS system, you deserve to have a highly trained individual ready to help you. Whether it’s adding inventory to the system or determining how to make the most of the setup, having a team member that is dedicated to your success with the POS system is something we believe is truly invaluable. Think about it for a moment — the quality of service that you get when working with a company, an individual, or a product can drastically change the experience that you have. If, for example, you’re working with a product that you don’t know how to use and you receive guidance from a support team, you’re likely going to wind up with a positive experience. On the other hand, if you have a product that you don’t know how to use and get very little direction from, the chances of you enjoying the product or suggesting it to others is going to be very unlikely. Don’t make your POS system one of the things that you struggle with and give up on. Find a software that accounts for your needs and offers guidance and assistance when needed. It really will make all of the difference. The only way to get a POS system that truly has everything you need is by finding one that was designed by someone who understands your needs. Visual Retail Plus is a POS system that was designed by retail business owners that recognized the need for a high-quality software that made running a business easier for them. We offer demos of our POS system so that you can see how it stands up to the others that surface through internet searches. From the points that are listed above to the endless benefits that only a retail business owner themselves would understand, we’ve worked tirelessly to create the best software around. Reach out to us today to schedule a demo of the software or to inquire more about how you can start working with the Visual Retail Plus system.